Sting in the Tail's Garden Harvest range is beautifully packaged and fragranced range of foam baths and soap bars. 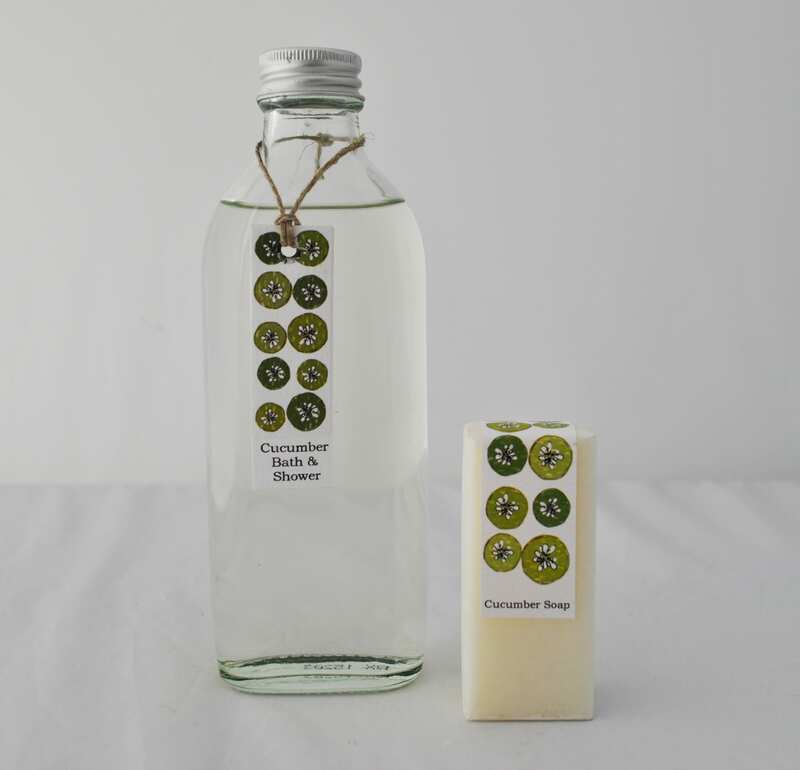 This Cucumber Foam Bath & Soap Bar makes a perfect sweet smelling gift, or a lovely treat for yourself. This is one of our favourite fragrances. Size: 200ml Foam Bath & 80g Soap Bar. Foam Bath - Aqua, Sodium Lauryl Sulphate, Cocoamidopropyl Betain, Cocamide DEA, Sodium Chloride, Parfum, Citric Acid, Phenoxy Ethanol, Butyl Paraben, Methyl Paraben, Ethylparaben, Propyl Paraben, Citronellol, Limonene, Linalool. Made in UK. Soap Bar - Sodium Palmate, Sodium Palm Kernelate, Aqua, Parfum, Glycerin, Butyrospermum Parkii (Shea Butter), Sodium Chloride, CI 77891, Tetrasodium EDTA, Tetrasodium Editronate, Citronellol, Alpha-Isomethyl-Ionene, Linalool, Hydroxisohexyl 3-Cyclohexene, Carboxaldehyde, Butylphenyl Methlpropional, Amyl Cinnamal. Made in GB.